Manikarnika – The Queen Of Jhansi chronicles the tale of one of India’s most prominent historical figures. Manikarnika, better known as Lakshmibai or the Rani of Jhansi, was one of the foremost freedom fighters of the 1857 rebellion. The allegory of Rani of Jhansi has personally fascinated me for as long as I can remember. Hence, writing even a review of a film based on her gallantry gives me great bliss. 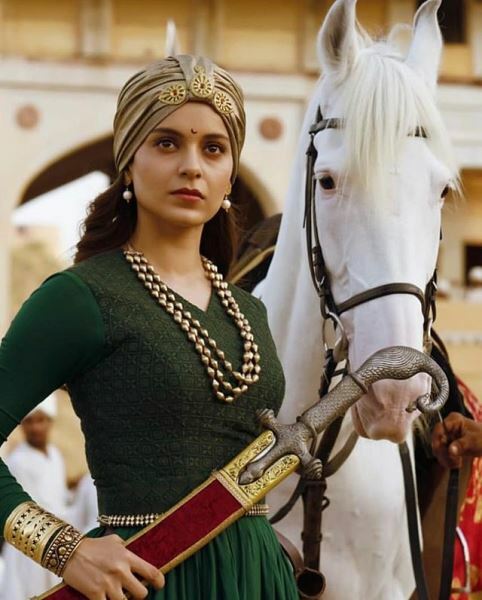 A warrior queen riding a horse, a sword in her hand, a child strapped onto her back, Manikarnika is an old-fashioned, simplistic film underlining the core values of bravery, valour and selfless love for the soil. The opulence, grandeur and magnificence of the sets, costumes, jewellery, designs and execution in the film makes it a remarkable visual treat. 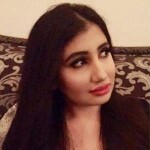 Although the legend of the historical heroine is portrayed in a glamourised manner, the burning ideas of patriotism and national pride remain uncompromised. Not to forget, this directorial venture is also deeply engraved in feminist notions. Although the heroic saga of Rani Lakshmibai exudes the required nationalist fervour, the narrative is solely mounted on the enormity of the queen’s tale. With almost every scene devoted to her in order to emphasise her peerless courage and brilliance, the film does leave unused room for other elements (especially when it has taken creative liberties) like a more layered plot, depth, realism and considerable contribution of other figures. Despite the flaws in the script and visual effects, the film re-tells the riveting tale of the iconic warrior with such fluidity and conviction that the audience remains engaged right up to the last minute. Even the implausibility of the film that attempts to seemingly equate Rani with some goddess bewitches the viewers in an overwhelmingly gripping way. The audacity with which the film endeavours to explore the grand scale of an epic with a female protagonist radiating, who has no significant male counterpart by her side, is undeniably commendable. It is inspiring and empowering to see the shift from male-oriented films to powerful women-centric movies in recent times, portraying feminist narratives and daring leading ladies. Kangana Ranaut fearlessly steps into the shoes of Rani and her performance is undoubtedly par excellence. Ranaut is on fire as the intrepid warrior as she channels the fierce spirit of Rani with consummate ease and brings her to life in a compelling way. In particularly the second half, Ranaut is terrific and inarguably establishes why she is the Queen of Bollywood. On the other hand, the supporting actors have little to do but they do a decent job within their on-screen time space. Besides the background score, the ostentatious battle scenes and action choreography of the film are awe-inspiring. The extravaganza replete with some outstanding performances, imposing action scenes and war sequences, some goose-flesh moments, stirring emotions and blood-tinted struggle, are certainly the captivating hallmarks of the film. Manikarnika is a must-watch spectacle for everything in the film. 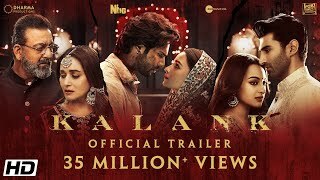 However, the hypnotic Ranaut displaying a larger-than-life persona of the queen with utmost intensity yet consummate ease is the reason why this film gets a heartfelt recommendation.